Dr. Howard Liang is a Southern California native and was raised in the San Gabriel Valley. Dr. Liang graduated from the University of California, Riverside, where he received a Bachelor of Science degree in Biology. He completed his dental training at the UCLA School of Dentistry and pursued further training in endodontics at Temple University in Philadelphia, Pa. During his advanced training in endodontics, he performed research in the application of lasers in endodontics. 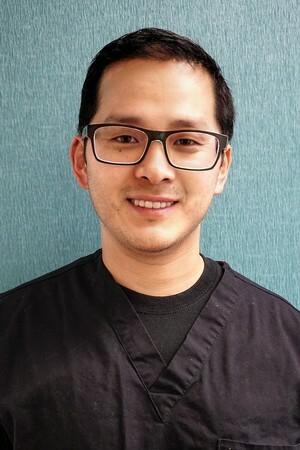 Upon completion of his endodontic training, Dr. Liang became the Director in the Emergency Endodontic Program at Temple University. He was also a faculty member, teaching endodontics to dental students. Dr. Liang worked with general dentists as well as periodontists and other dental specialists in private practice while living in Philadelphia. Dr. Liang is currently a member of the American Association of Endodontists, the California Dental Association, and the San Gabriel Valley Dental Society. During his spare time, he enjoys auto racing and spending time with family, friends and his labrador retriever.